If you want to enjoy the security and anonymity VPN services provide but do not want to spend more than a couple of bucks per month on a VPN, you have come to the right place. Before you is an all-encompassing guide to choosing the best cheap VPN service. We have assembled a list of the most reliable VPN services that offer high-level protection at the lowest prices. To help you make the best possible choice, we have brought everything you need to know about the cheapest VPNs to one place, so that by the time you read this article, you will know exactly which VPN to choose and why. Let us start by taking a look at the cheapest VPN services currently available. Getflix is a popular budget-friendly service that allows you to enjoy the benefits of both VPN and SmartDNS technologies. It provides unrestricted access to streaming services and keeps you safe with mighty 2048-bit encryption. Unlocator operates servers in 30 countries on 6 continents, allowing you to easily bypass geo-restrictions. It offers low prices, high speeds, and absolute privacy with a strict no-logging policy and Bitcoin as a payment method. Hide My IP is a perfect choice for anyone who needs a reliable, yet affordable way to protect their online anonymity. Switch between numerous IP addresses and browse the Internet freely and safely – Hide My IP’s got your back. With ibVPN, you can freely switch between 180+ servers in 57+ countries, enjoy the benefits of powerful 256-bit encryption, use the service on up to 7 devices at once, and have your privacy preserved with no records of your activity. Cactus VPN is a cheap VPN service that offers great compatibility and ease of use, a smooth performance, 5 encryption protocols, including OpenVPN, 3 simultaneous connections, P2P-friendly servers, and DNS leak protection. Information is more valuable than gold and here is a piece of information that can save you quite a lot of money if you are in the market for a new VPN: lousy VPNs can cost more than the good ones. In other words, the most expensive VPN is not necessarily the safest bet. Here is why. Certain VPN providers set high prices because they want inexperienced users to believe that their service is better than it actually is. This strategy is as devious as it is effective. That is why it is important to know that in the VPN market, the price is not a reliable indicator of service quality. The truth is that even the cheapest VPNs can be more than good, with the operative word being can. Most of the time, a cheap VPN is just that, a service that offers as little as it costs. However, that does not mean that you cannot get a good VPN at a low price. Namely, VPN protection is not a luxury but a necessity. Every Internet user should have the opportunity to surf the web without being tracked and without facing geographical limitations. A number of great VPN providers recognize this. They want to make a profit by offering affordable services to many instead of offering expensive services to few. That is why there are quite a few excellent VPNs that offer high-level protection at budget-friendly prices. If you are looking for an inexpensive VPN solution, it may sound reasonable to opt for a free VPN. Most VPN experts and reviewers will just tell you that this is a bad idea. We are here to tell you exactly why you should not use a free VPN and we will further demonstrate the colossal differences between cheap VPNs and free VPNs. First, let us get something out of the way: there is no such thing as a free VPN. Operating a large global network that is fast, reliable, and secure costs money. VPN providers that do not ask for money in exchange for their services have alternate sources of funding and may even deceive and exploit their users in various ways. Furthermore, these services generally do not satisfy the industry standards, they do not keep you safe and anonymous, and they are often not legitimate. Let us support these claims with cold, hard facts. 84% of the apps were leaking IPv6 traffic and 66% of them were leaking DNS traffic. All of these services claimed to be secure and had at least a 4-star rating on Google Play. This means that even if you choose the most popular free VPN that has been installed by a million users, you just get to be one out of a million people whose privacy is not protected, whose personal information is collected and used for unknown purposes, and whose devices are being infected with malware and used to route the traffic of other users who may be doing something illegal. The worst of all is that you do not know what these services are doing with your data and devices. They violate your privacy while claiming to protect it. On the other hand, the cheapest VPNs operate the same way as the best VPNs. They are legitimate businesses with clear and transparent privacy policies detailing all (if any) instances in which your private information is collected, as well as the purposes for which it is used. They are only allowed to collect your data with your permission and use it for the provision of services you require. Furthermore, they provide accurate information about all aspects of their services, proving their legitimateness. They use advanced technology to encrypt your traffic, keep you anonymous, and protect you from trackers of all sorts. They allow you to enjoy all the benefits of VPN protection at a low price. Let us conclude this comparison by highlighting the key difference between cheap VPNs and free VPNs. While cheap VPNs are trustworthy VPN providers that offer a neat combination of security and affordability, free VPNs are potentially malicious applications that represent a security hazard. Thus, cheap VPNs give you peace of mind for a few dollars a month while using a free VPN may put you at a greater danger than surfing the web without a VPN. To discover whether a cheap VPN can satisfy all your needs, you need to know a thing or two about VPN technology. That is where we come in. Here are the key features the best cheap VPN services possess explained in layman’s terms. The best VPNs on the market can cost more than $10 per month. The cheapest VPNs employ more-or-less the same privacy and security measures like the best ones but do not possess advanced features most users never use and do not operate thousands of servers like some of the major players. Due to the absence of these fancy features and lower maintenance costs, they can offer their services at half the price of a top-of-the-line VPN. Reliability is one of the key features of a VPN service. The best cheap VPN services run networks with maximum uptime (at least 99%), so your VPN is ready to go whenever you are online, at all times of day and night. Their functionality is impeccable, so you do not have to deal with bugs, crashes, and frequent dropouts. They allow you to enjoy a smooth performance and high speeds, so you can browse, download, upload, and stream with ease. Using a VPN must slow down your connection due to the advanced technology at work, but with the best cheap VPNs, the differences in speed are unnoticeable. When choosing the best cheap VPNs, we conduct speed tests on all servers to make sure that you can enjoy good speeds regardless of the distance between the server and your actual location. This is by far the most important criterion since the main purpose of a VPN is to keep you safe and anonymous while circumventing geo-restrictions. The best cheap VPNs use the latest encryption technology, preferably 256-bit AES, and employ the safest encryption protocols, including OpenVPN. This ensures that your data will be unreadable to trackers and your traffic untraceable, so no one can know what you do online, including your ISP and the government. As far as privacy goes, what matters most is the company’s logging policy. The best choices are the VPNs that neither monitor nor log your online activity. Some connection logs may be collected but never your IP address and other personal details that can be used to identify you. Furthermore, you should never be asked to disclose too many private details during signup and we give preference to services that accept Bitcoin, so you do not have to share any personal information at any point. If all of these criteria are met, you can enjoy maximum anonymity, which is exactly what the cheapest VPN services on our list offer. Once you understand the importance of VPN protection, you want to keep all of your devices safe. That is why we only choose the VPNs that work on all major platforms and allow you to use their services on multiple devices at the same time with a single account. That way, you can protect all the devices in your home and keep your entire family safe without investing in multiple subscriptions. We said before that some of the biggest names in the VPN business operate thousands of servers. A VPN should have numerous servers across the globe because this eliminates the possibility of an overload, allows you to choose from a wide range of virtual nationalities, and lets you enjoy high speeds because there is always a server nearby no matter where you are. The closer the server is, the higher the speed of your connection. The cheapest VPNs do not have as many servers as the best ones but their servers are strategically located in various places around the globe, thus accommodating the needs of users from any corner of the planet. Therefore, while we do not expect the number of servers to be as large as with the best of the best, smart server distribution is a must. Not everybody understands how VPNs work, but everybody who uses the Internet can benefit from VPN protection, which is why the best VPNs are always designed with even the most inexperienced users in mind. However, even with the most user-friendly VPNs, you may sometimes need some help from the experts. That is why we want our top-rated cheap VPNs to have excellent user support, so if you get stuck or experience some issues with your VPN, you can reach out to the support staff whenever you need assistance and get useful advice that can help you quickly resolve any potential problems. Users opt for VPNs for different reasons. Some want to be able to stream their favorite content regardless of their location and enjoy unrestricted access to media services like Netflix, Hulu, and BBC from abroad. Others want to download torrents carefree. Most of them want to be out of trackers’ reach and experience the Internet without bounds. Not all VPNs are designed to provide all these benefits. When choosing the best cheap VPNs for you, our goal is to find the ones that are optimized for torrenting, the ones that are able to bypass geo-restrictions and unblock virtually any content for anyone, and the ones that work with the most popular media services, so you can engage in any form of online activity without limitations. Our article on the cheapest VPN services would not be complete without a detailed overview of the prices of subscriptions offered by our top picks. Take a look at our price comparison table below and discover exactly how affordable the cheapest VPN services are and how they compare to one another price-wise. We have chosen the cheapest VPN services that satisfy all of our selection criteria. Now it is time to explore our top picks in greater detail and find out which one is the best fit for you. 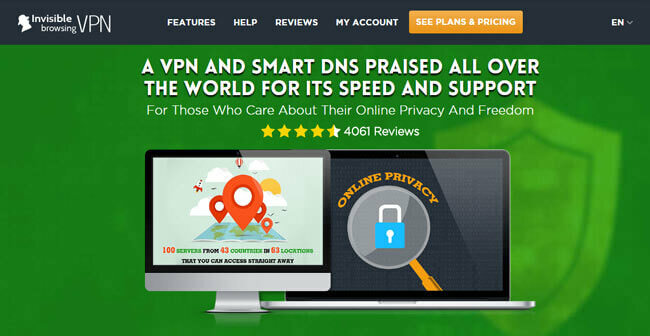 Read the mini-reviews below, discover the key features of our top-rated cheap VPN services, and decide which one is the right match for your needs. With Getflix, you get a VPN and SmartDNS service at the price of one. Even with the priciest one-month subscription, you pay less than $5 per month, which is about as low as it gets. You can choose between PPTP, L2TP, SSTP, and the safest OpenVPN encryption protocol and enjoy the benefits of top-notch 2048-bit encryption. Your activity is never monitored or logged and the personal information you disclose is never shared with third parties without your permission. The service allows you to freely switch between 92+ servers in 38 countries around the globe. It supports 200+ movie, music, sports, and children channels and websites, which makes it perfect for streaming. As we are writing this article, Getflix is one of the rare VPNs that still work with Netflix. The speeds are excellent and there are no DNS leaks. You can use Getflix on Windows, Mac, iOS, Android, Xbox 360 and Xbox One, PS3 and PS4, Apple TV, Roku, and WD TV Live. The service allows up to 3 simultaneous connections. 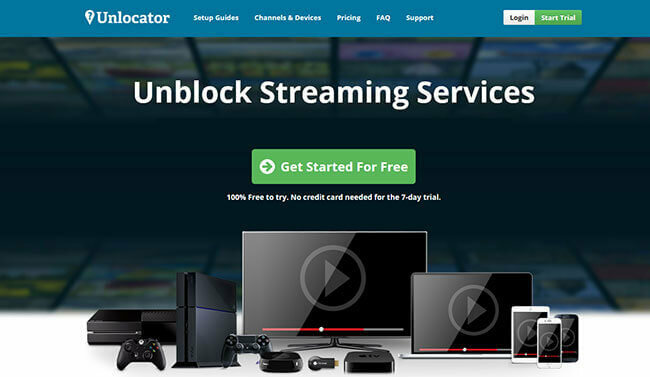 Unlocator is another under-5-dollars service that does not function like a traditional VPN. In order to allow you to enjoy blazing speeds, Unlocator only redirects DNS traffic related to geographical location to the location of your choice and the rest of the traffic remains unchanged. That way, the service lets you unblock content from multiple countries at the same time while also enabling you to access services from your country with your real IP. Thus, it is an optimal choice for users who do not seek protection in the form of encryption but simply want to be able to bypass geo-restrictions. It is worth noting, however, that in addition to the described DNS service, Unlocator also provides Smart VPN service that protects you from DNS hijacking. You can use it on as many devices as you want simultaneously and switch between servers manually or automatically. Your privacy is protected at all times since the service does not track or log your activity. If you opt for Bitcoin payment, you do not have to share any personal information at any point. Hide My IP is an affordable P2P-friendly service that allows you to enjoy anonymous surfing with SSL encryption and gain unrestricted access to virtually any content. You can choose from around 120 virtual locations scattered across the globe. You can switch between IP addresses as often as you wish or have the address changed automatically at intervals as short as 1 minute. Hide My IP allows up to 5 simultaneous connections. You can use it on Windows and Mac computers, Android and iOS mobile devices, routers, smart TVs, and game consoles, including Xbox, PlayStation, and Wii. The service is fast, reliable, and easy to use. It provides a high level of anonymity with zero logging and Bitcoin payments. You can test it with the 14-day free trial and if you purchase it and are not satisfied, you can get a full refund within 30 days after the date of purchase. ibVPN is a surprisingly cheap VPN that has quite a lot to offer. It has its own SmartDNS service that you can use free of charge in addition to the VPN. It uses the latest AES 256-bit encryption and allows you to choose between OpenVPN, PPTP, L2TP, and SSTP protocols. It is equipped with a kill switch that automatically shuts down apps of your choice in case your VPN connection is suddenly terminated. It also offers the handy Auto Reconnect feature, so a VPN connection is reestablished automatically. Plus, it features excellent DNS leak protection. In addition to great security, ibVPN offers great privacy, as it does not keep logs of any kind. You can stay completely anonymous by paying with Bitcoin. The prices start at shy over $3 per month. You can use ibVPN on up to 7 devices simultaneously. It works on Windows, Linux, Mac, iOS, Android, PlayStation 3, and Xbox 360. Torrenting is allowed. Cactus VPN allows you to enjoy the benefits of VPN protection and SmartDNS service at a great price. It uses AES 128-bit encryption, supports SSTP, PPTP, L2TP/IPSec, OpenVPN, and SoftEther protocols, and a few years ago, it upgraded all its servers to SoftEther Perfect Forward Secrecy. This means that you get to enjoy even greater protection, with encryption keys changed every time you establish a VPN connection. It operates VPN and DNS servers in 9 world countries, which may not seem like a lot, but the speeds are more than good and the servers are strategically distributed, so you can easily access all kinds of blocked content. If you connect to its servers in Germany, Romania or the Netherlands, you can use torrents without any limits. Cactus VPN works on Windows, Mac, Android, iOS, Ubuntu, Chromebook, Boxee Box, and routers and it can be used on 3 devices simultaneously for less than $5 per month. It keeps neither connection nor traffic logs and accepts Bitcoin as a payment method.